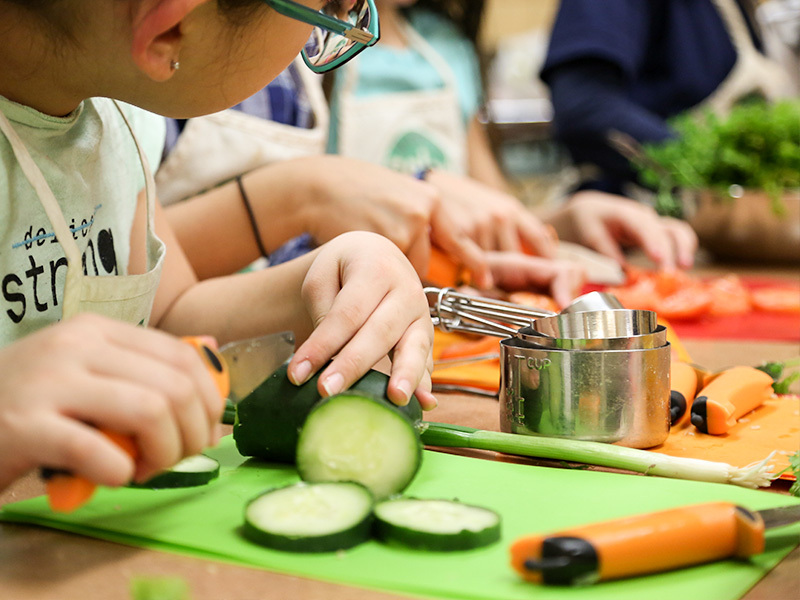 ”I’m allergic to salad!” In the cooking classroom we hear this line too many times with the more blunt “I don’t like vegetables” coming in a close second. Place something green on the table and a chorus of “allergies” and groans immediately rises from the youth of America. In 2010 a student of ours not only declared an allergy to salad, but threw herself on the ground to prove her dislike of green vegetables–On that day our name was born. 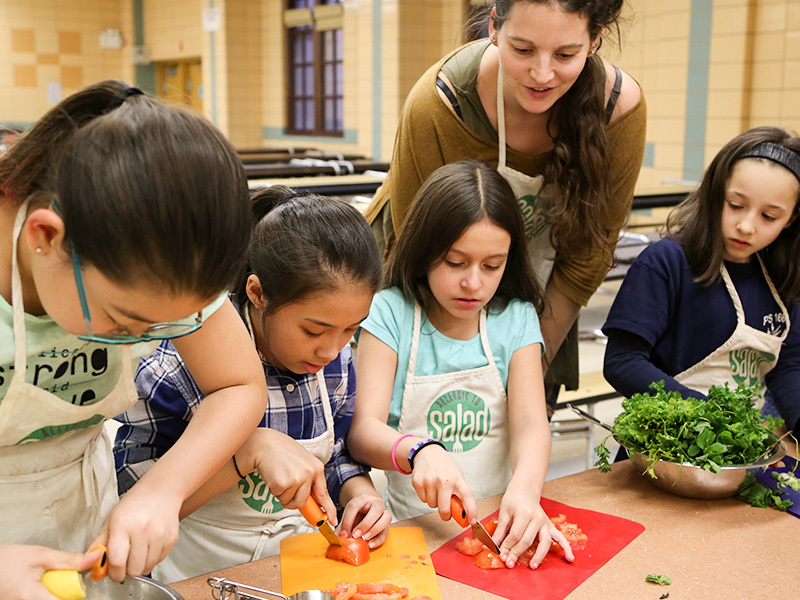 Allergic to Salad began as a blog in September 2010 following the recipes and antics of Stacey Ornstein’s after-school cooking classes for elementary-aged students. Since the start of the blog, interest in cooking classes has broadened the scope of the original project. Local parents demanded classes for their children, cooking-themed birthday parties, and even adults made class requests. Allergic to Salad has grown with this demand and continues to expand. – In case you were wondering about our response to the green vegetable “allergy”– We told her it was too bad: we’d be making a chocolate salad next week and she would have to sit out on that too. Her allergy miraculously cleared.